Do You Need to Feel Better? The medical professionals at InhaleMD (note that we are not a retail dispensary) are dedicated to treating patients through cannabis therapeutics. Our Boston area medical practices specialize in creating effective and affordable wellness plans for people seeking relief from their illness or improvement in their overall well-being. Both patients and wellness-seekers benefit from the guidance of a caring, well-trained physician to help them achieve their desired results. Inhale MD provides personalized, Cannabis-based medical guidance for New England residents who have been diagnosed with qualifying conditions, such as cancer, Parkinson’s disease, and multiple sclerosis. Our wellness center also provides educational materials for individuals who wish to improve their general wellbeing through the use of Cannabis. Online sessions combine the comprehensive detail of in-person consultations with the ease and convenience of in-home care. Patients have peace of mind that our online sessions are secure and confidential. 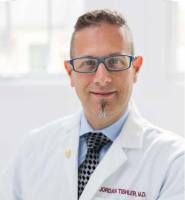 Dr. Jordan Tishler is a Harvard-trained Holistic Care expert. As a leading expert on Cannabis therapeutics, Dr. Tishler employs Western medicine and Cannabis care to treat a wide array of illness. He is additionally focused on stress management, insomnia, and human sexuality. The intersection of Cannabis medicine and sexuality is a particular area of expertise for Dr. Tishler. After years of research and learning, Dr. Tishler is an accomplished author, teacher, nationally sought-after speaker, and tireless patient advocate. A caring and dedicated physician, Dr. Tishler will work with you and your care team to manage your illness, or improve your well-being and quality of life. Contact Dr. Tishler today for an appointment. Cannabis has been shown to be safe and effective for the treatment of a wide range of illnesses and wellness issues. We believe that knowledge is power, and that an informed patient makes our best partner in their quest to be as healthy as they can be. 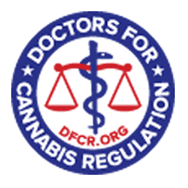 Here we present a large library of articles by Dr. Tishler aimed at helping you understand how to use Cannabis safely and effectively to improve your life. We provide personalized, accessible care that’s sensitive to your healthcare needs. We make the process of getting care simple and easy. Our physician is a Harvard trained expert and focused on your well-being.